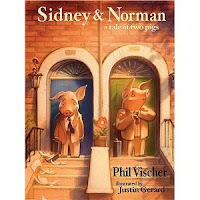 Sidney & Norman a tale of two pigs was written by Phil Vischer. You know Phil. Creator of Veggie Tales. This is another one of those children’s books that speaks volumes to adults. I picked it up at the Christian bookstore, began reading it, and cried right there in the middle of everyone. My friend, who worked there at the time, called my husband (after I left and without telling me) and told him he might want to come in and buy a special book for me. A day or two later, I came home and it was lying on my pillow. Tears. Sniff. Norman is the typical overachiever. He’s good at everything. He dresses perfectly with no spot or wrinkles. He’s the teacher’s pet (pardon the pun) and his boss’ favorite. Of course. He prides himself on being the best–looks down on those who aren’t as “good” as he is and wonders why they simply don’t work harder. Isn’t that just like God…to invite us to come and hear a word from Him, but at our convenience? He never pushes us. Some of us run straight to Him; some of us balk and stew about it. Norman ran. Why? “Anticipation. Happiness. Pride.” He was about to be honored and awarded for being good. He couldn’t sleep because of his excitement. Sidney felt much differently. “Terror. Panic. Doom.” It was like being sent to the principal’s office. He was always in trouble for something. The day came. Norman walked tall. Looked his best (as usual) and strutted straight to the address. He walked inside…he saw God. Not much of an award in Norman’s opinion. How could God find fault in him? Sidney dreaded his day. He put it off…and off until he couldn’t wait anymore. He made his way to the address and into the office. Doom hung on him like a cape. He was such a rotten pig–never getting things right. 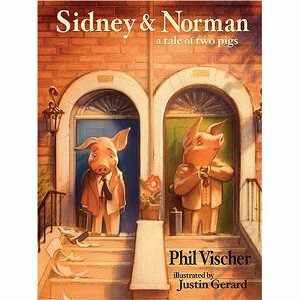 Sidney was confused at first, wondering how God could love a little ole’ messed up pig like him. But that conversation–changed him. Those reassuring words from his Creator–“I love you.” Three times God told him. Because, God did love Sidney and wanted him to know it. If He needed to tell him 100 times, He would have. He loves you too. If you’ll stop balking and just meet Him, those words will do things to you that you never imagined they could. Maybe you’re Norman, and you need reminded that you aren’t perfect–even if you seem to do things better than others. God loves you as well. He loves me too, whether I’m in a Norman season, or a Sidney season. I love that Phil chose pigs. Pigs in the OT were considered unclean. Which without our Savior’s grace and shed blood–is exactly what we are. But God loves us. To find out the rest, read the book. See how their lives change. For the better. And remember…God loves you. He wants to invite you to come and see Him, just to let you know it. You can read about His love for you all day long and know it in your head, but sometimes you need to get alone with Him, and let Him speak those words to your heart. Personally. Hope you got a good laugh! Have a great weekend, friends! See you on Monday. Yep, you read the title correctly. I’m a gold digger. I’m proud of it. I need the T-Shirt. I’m still writing my study in the book of Joshua. I’m at the point where it records his conquests. I wrote out the lesson, then had about a paragraph left before starting a new chapter. I skipped the last paragraph and started reading the new chapter when the Lord said, “You missed a few lines. Go back.” So I did. Joshua and eleven other men are commanded by Moses to go spy out their Promised Land. Eagerly, they take off on their mission, but when they come back only two of them (Joshua and Caleb–who was forty at the time) wanted to go in and possess the land. They trusted God. They believed. Faith was a road sign on their journey to their promise. But the ten other spies were afraid and they put fear into the hearts of the people with their response, “We are not able to go up against the people for they are stronger than we…There were giants (the descendants of Anak came from the giants); and we were like grasshoppers in our own sight, and so we were in their sight.” Numbers 13:31-33. Because of their lack of faith, God sentenced them to forty years in the wilderness. All the men able to go to war would die and because God is faithful, even when we are not, He would allow the second generation of children to enter the land plus Joshua and Caleb. Numbers 14:26-35. I wonder what it was like for Joshua and Caleb all those years in the wilderness. Late at night, did Joshua weep alone in his tent for the promise he knew was his and yet couldn’t touch. Did those years creep by, one heat filled day at a time? Joshua learned under Moses’ tutelage. He became skilled at leading, military strategy…and how to honor and obey God. Even if his nights may have been spent fighting bitterness towards those who had been disobedient and wicked. Then forty years were up. It was time for Joshua to do what he’d wanted to do so many years ago, with Caleb–now eighty-five but strong. Picture them, sweaty and exhausted from war–yet never falling back. Pressing on. The last giant falls with a thud and only the dust rises. The men of the second generation shout in victory, but Joshua falls to his face in the sand and weeps. Caleb takes his place on the ground next to him. “Why are you weeping? We should be dancing! Singing! Celebrating!” The army yelled and then stood dumbfounded. They were dancing–in their hearts. They were singing–in their spirits They were celebrating–through tears. Tears that came from a long, arduous journey. At last. Joshua proved, those giants couldn’t stop the work of the Almighty God. And Joshua blessed him and gave him Hebron formerly known as Kirjath Arba (Arba was the greatest man among the Anakim). Was. How long have you been waiting for a promise? What are you doing while you wait? Life isn’t fair. Sometimes we feel stuck. Wandering. But your mountain is your mountain. God isn’t taking it away from you. What are you studying? Share a few golden nuggets! “She couldn’t see anything. The moon was teasing her, playing in the sick game, by hiding behind thick pasty gray clouds. She ran until her stomach burned. Her legs threatened to betray her as they buckled underneath her. She dared not look back for fear she’d trip on logs or underbrush. The bitter, stale, acidy smells assaulted her nose and lodged in her throat, signaling he wasn’t far behind. The blindfold he’d kept on her had only been off long enough to reveal the dense forest–his hunting ground.Where he’d found her two days or maybe two months before. She’d lost track of time. Barren trees reached out to trap her. Their bony branches, acting like jagged nails, taunted her cheeks as they scratched and peeled her smooth complexion away from her face, but she pushed through, ignoring the sting and the sticky substance oozing from her wounds. The taste of earth, iron, and salt saturated her dry tongue. Her throat coiled in response. She gagged, but pressed on. She begged for death, but not at his hands. Not again. I became engrossed in telling it, and though her eyes were on the road, her mind was immersed in the woman escaping a psychopath. “Well I wasn’t,” she snipped. “I’m turning around.” She hopped off the interstate and began pulling over onto the shoulder of the road. Neither of us spoke. The silence hung in the air. We were surrounded by ominous looking woods. The night was similar to the one I had been describing. The moon was full. He was in the middle of nowhere. In the pitch of night. Holding a white plastic sack. I couldn’t make out his face, but as she slammed on the brakes he moved toward us. I threw my hands in the air. “Lock the doors! Roll up the windows! Roll up the windows! He’s coming!” My soprano voice turned shrill. That’s when my friend Jane, lost all ability to function. Her hand frantically raced up and down the car door looking for buttons to lock and secure us. She did. A heinous word that had obviously been forming on the tip of her tongue forced its way out of her mouth. My precious friend’s mouth. She screamed it to the top of her lungs and once it was out it repeated like a stuck record. I stopped shrieking out of shock. My head seemed to turn in slow motion. The abominable word rang out in a slurred slow motion as well. Over and over. She cut a hard right and threw dust and rocks on the shadowed man standing alone on the shoulder near the woods. A hitchhiker? Maybe. A psychotic maniac with a switchblade and ropes? Possibly. We shook with fear, turned into the wrong lane, dodged oncoming traffic and finally found our way into the city again. Jane pulled over at a movie rental store near the friend’s house we were staying at. We sat there staring straight ahead. Numb. Trembling. “I hate you,” she whispered and started the car. * Jane did feel bad about her foul words… later. from my six year old son, Myles. The oven door must have slipped from my hubby’s hand because the loud bang echoed into the bedroom. I heard the TV silence. Myles had paused it. He pauses it for everything. To get a snack. To go to the bathroom. Heaven forbid he misses a second of Phineas and Ferb, Beyblade or MAD TV (the cartoon). “Ma’am, yes, Ma’am,” Myles hollers in military style,and then I hear giggling.” Apparently, emasculating another man in playful fun starts at an early age. I hear the chair squawk across the floor as Myles pulls it out and then papers rustle. “Just my spelling test, Dad,” Myles says, and it’s quiet a few moments before I hear the oven timer beeping. “How are you doing the spelling test if you can see the words?” A pan rattles on the range. A few seconds pass. I laughed, but it struck me that we’re a lot like Myles. We want to hurry through the practice tests, learning nothing or skip them totally. We don’t want to wait on God to come and help us because we think the job can be done faster without Him. And when the real test comes, not the practice test…we can’t pass. Patience isn’t easy for a six year old. It isn’t easy for a thirty five year old either. Don’t rush through the practice. Learn all you can because the real test will come. It could be a pop quiz! Be ready. Let’s also thank God that when we do miss practice tests or rush through them, and flunk, He gives the test over and over again. But hey, let’s just learn it and move on. I’m ready to work on something new. I’m tired of taking the same old test I ought to know over again. Have you had to take the same test over and over? What are you practicing for now? So, is everyone blogging about love today? It is Valentine’s Day. I thought I should blog about love and romance since I am a romance writer. I thought I might share some pointers of writing about romance, showing how to create a scene that is full of romantic tension, or even writing about why we love romance. God created us for romance. Divine romance! But I’m not not going to blog about any of that. Today I’m simply going to use this cyber platform to tell you how much my husband loves me. This morning I woke up to yummy chocolates and a thoughtful card. Was it on my pillow? No. It was on my laptop! Somewhere he knew I’d see it. I’d forgotten today was V-Day. I was surprised and of course, freaked out as I have bought him nothing! My husband, of almost 16 years, still dates me. I love that. Now, my husband isn’t a writer. He’s a muscian, so he understands my passion for writing because he has a passion to tell a story through a song, (Although not through words. He doesn’t write lyrics, much.) He’s usually rather quiet about my writing. He doesn’t brainstorm with me, and I generally don’t use him to bounce ideas off of. While he’s romantic to be sure, he doesn’t enjoy reading romance (he did read one of my novels and he did like it, but I’ve written 12 so, you do the math). In fact, he doesn’t enjoy reading at all. “Jess, why read when I know the movie will be out in six months to a year.” That’s his philosophy. I cringe every time he says it, but we’re all different, right? He listens to me when I share my goals or my frustrations. It’s called Book Club time to him, but he doesn’t often understand because he’s not walking in my shoes. I’ve mistaken it at times for him not supporting me, but that deduction is very wrong. He supports me in spite of his lack of understanding. I think it really hit me this weekend. He may not be able to speak writing lingo with me. He can’t wrap his brain around how I come up with ideas, scenes, plot, etc…but he can show me just how much he’s in my corner by doing other things. Huge things! I just got back from a very expensive conference. Not only was it a chunk of money(and very worth it), but the hotel, the airfare, the extra hundreds of dollars I needed for various things before the trip, the money to take on the trip, and the job of running the family and working still had to be taken care of. That was something he could do. And he forked money out like it was falling from trees. I don’t know how he put it back, saved, and squeezed. But he did and without so much as one grumbling word because he believes in me. He believes in my writing. And it was a way he could be a part of this. When I came home, my house was spotless. I knew it would be. Floors had been vaccumed and the lines still shown where he’d ran them vertically. Cause I like that! The kids had been bathed, Myles had a hair cut, the laundry including towels had been done, the pantry and fridge were stocked because he knew I’d have work to do this week since the conference went well. The bathroom rugs were washed and the shower and tub scrubbed. The sheets were freshly washed and my pajamas had been laid out. Oh yeah, and he brought me food to the airport when he picked me up because he knew I’d be starving! And I was. My husband loves me. He loves what I do, and he’s proud of me. And I love him and am so very proud of him. This could be my Valentine to him, but since he doesn’t read…. What wonderful thing has your special someone done to show his/her love for you? Take a peek into Joshua chapter 5 with me, starting with verse 11. I’d like to share the nuggets of treasure I’ve found. The Israelites have just miraculously crossed over the Jordan. Not a creek, a river-a swollen overflowing river. God has instructed that the men should be circumcised. And the Manna they had been eating for 40 years in the wilderness has gone away as they’ve eaten for the first time the fruit of the land. Now Joshua walked out some distance, looking toward Jericho. Maybe he was thinking of military strategy, or the fact that the Manna had ceased to yield provision. Surely, the responsibilities of being the new leader were weighing on his shoulders. But as his eyes looked up toward the horizon, in front of him, he saw a Man. A Man with His sword drawn. It was right after the Manna had ceased that this interesting occurence took place. Joshua walks to the Man with the drawn sword, (Joshua 5:13) and he asks if He is for them or against them. The Man gives a reply much like the Man in the New Testament often gives. He answers a question that really doesn’t matter, with an answer that does. You see, who this Man was for wasn’t the real question. He answers with, “No, but I have now come. I am the Commander of the Lord’s army.” What’s important is who He is. And who He is requires bowing and worship. In the OT when you see the “Angel of the Lord” and the “A” is capitalized it is referring to Jesus PreIncarnate. If your version doesn’t capitalize the “A” a good way to tell if it is Jesus (before He came as flesh =PreIncarnate) is He is the only Angel that accepts sacrifices (like with Gideon) and allows worship. Other angels always made men get up and stop bowing at their feet. Imagine this…Joshua is possibly fretting, wondering if the loss of Manna is going to cause a riot from panic and then He sees this Man, who didn’t come up behind him, but was already steps ahead of Joshua. He was waiting on him! This Commander who has already saved them before. Watch. Jesus fought for His beloved. He knew where He was needed most-sometimes in the front but when necessary holding off the enemy from the back. Whatever it took to protect His own He did. Anyone who stood in His people’s way, became an adversary to Him. He felt what they felt and loved them too much to ever relent. A true Man of War. This word “host” in Hebrew is “stratia” and it means, “an army; a band of soldiers.” You see, the Angel of the Lord had come with a new strategy to save His beloved… as a tiny wrinkled baby crying in a manger, fully flesh…but also fully God. His title, though never as a man on earth, was still Commander. General. His army appeared out of reverance into the starry sky to celebrate the beginning of the greatest war ever fought, led, and won by the greatest Commander ever to exist! He still fights on your behalf today, even though the real battle was won on the cross at Calvary. And one day, The Bread of Heaven will be tangible again. We will see Him come out of the heavens in all His glory. Can you picture it? An army of white horses with riders. The only sound that can be heard are the clicking of boots and a swish of a robe as it brushes the ground while the Commander walks to His horse at the front. He lays a strong but gentle hand on His steed and the great horse paws and blows a blast of hot air from his nose. The Commander doesn’t need to climb up in stirrups, the horse kneels before the Glorious one. He sits upon the horse and whispers into its ear, “Let’s go get our Bride.” The horse raises up and the sound of a unified army rings throughout the heavens. The Commander raises His sword and a sonic boom brings Him into the atmosphere. And we meet Him in the sky. His promise fulfilled. He will take us to be with Him forever. “Now, I saw heaven opened and behold, a white horse. And He who sat on him was called Faithful and True and in righteousness He judges and makes war. His eyes were like a flame of fire, and on His head were many crowns. He had a name written that no one knows except Himself, He was clothed with a robe dipped in blood, and His name is called The Word of God. And the armies in heaven, clothed in fine linen, white and clean, followed Him on white horses. Now out of His mouth goes a sharp sword that with it, He should strike the nations. And He Himself will rule them with a rod of iron. He Himself treads the winepress of the fierceness and wrath of Almighty God. And He has on His robe and on His thigh a name written: KING OF KINGS AND LORD OF LORDS.” Revelation 19:11-16. What are you studying? Share a nugget! Sometimes the most touching stories come in a simple tale for children. I bought this book by Nan Gurley several years ago while I was on a trip in Florida. I walked into the discount Christian bookstore and stumbled out with bags full of books. I had every intention of giving this to my daughter, and I did…but it stays on my bookshelf because the truth is, God meant for me to have it more. It was what I needed at the time. He’s good about that…directing me to books to share a truth, confirm a promise, remind me of something He shared with me in our secret place or to teach me a new lesson about myself that requires change. He did it all in this book that I simply cannot read without tearing up. It’s about a glorious rose who loves to have the Creator walk through the beauty He’s created, to stop and be pleased with her. She desperately wants His approval, and she believes it’s her beauty that brings His love for her. A raging storm comes one night, and with all her strength she hangs on to her petals for fear she won’t be beautiful without them. It’s what makes her a rose. When the storm lets up and morning comes, she’s accomplished her goal. All her petals are still in tact. But then she hears the doves mourning. They fly around in desperate fear, and she realizes the wind has blown the doves’ egg onto the ground and they don’t see it. The rose has to make a choice: Keep the one thing she thinks makes her loved or let it all go to save the dove’s egg. One by one, the rose lets her petals fall onto the tiny dove’s egg to keep it warm, but she’s left only a stem. The egg hatches and the doves find their new baby. But it’s come at a cost for the rose. But God did notice her. And He noticed her sacrifice. She had misunderstood what God was smelling as a sweet fragrance. It wasn’t her petals, though they were beautiful. What He was taking in and enjoying was her heart. You’re beautiful to God. What makes you beautiful has nothing to do with your appearance. It’s the love you show to others. It’s your selflessness. We tend to think our talents and gifts are what make us special to God, when we use them for His glory, and yes those things are beautiful. He enjoys us using our gifts and talents for Him. It’s a sweet aroma, but what moves Him the most is when we give simply…ourselves. A surrendered heart, a sacrificial heart. What children’s book have you read that touched you or taught you a valuable truth? So this is me. This is where I am. I won’t always be here. I’m on a journey. Sometimes I feel like I’m barreling ahead, and sometimes I feel like I can barely crawl. Mostly I’m at least upright and moving at a decent turtle’s pace, but hey, it’s always forward. I’ll be going to my first writers conference next Thursday. I’ve been a roller coaster of emotions. I’m exhilirated to meet new people, to learn new things from inspiring teachers, and to walk into a world where I feel at home. I don’t plan to walk in there and think my dream will happen overnight. It could. But most likely it will not. This is the best I can do: I can pray and ask God to put me in the path of the right people. Not necessarily people who can help me now, but be there for me in God’s perfect timing later. And I know something will because God works everything out for the good of those who love Him. That includes me. 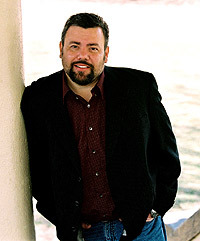 Will an agent turn me down and say my pitch won’t work for him/her? Probably. Will an editor tell me my material isn’t what they’re looking for? I’d put money on yes. BUT, if I walk away knowing that maybe I’ve made a new friend or future colleague, then that’s good. 1. To meet 2 critique partners. A cord of 3 strands aren’t easily broken. 2. To walk away with knowledge I didn’t have before. 4. 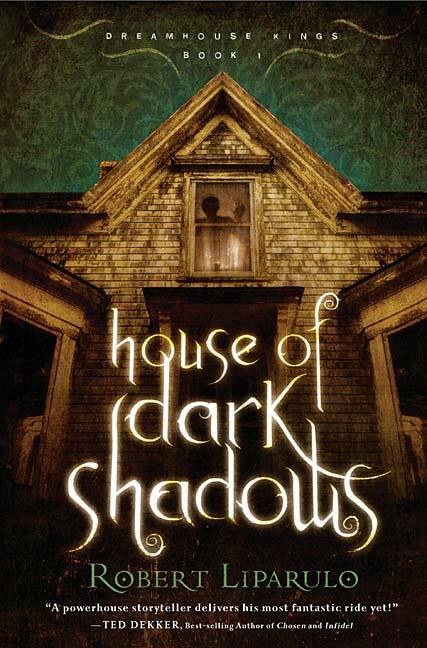 To meet other writers who can share this awesome journey with me, because they understand; they’re in it too. Those are my realistic goals. Anything else God decides to do is just icing on the cake. And I do love a good buttercream icing. Yum! Share with me your experiences at writers conferences? How did you meet your critique partners? Any words of advice? If you’re not a writer, what journey are you on and what animal do you feel like?